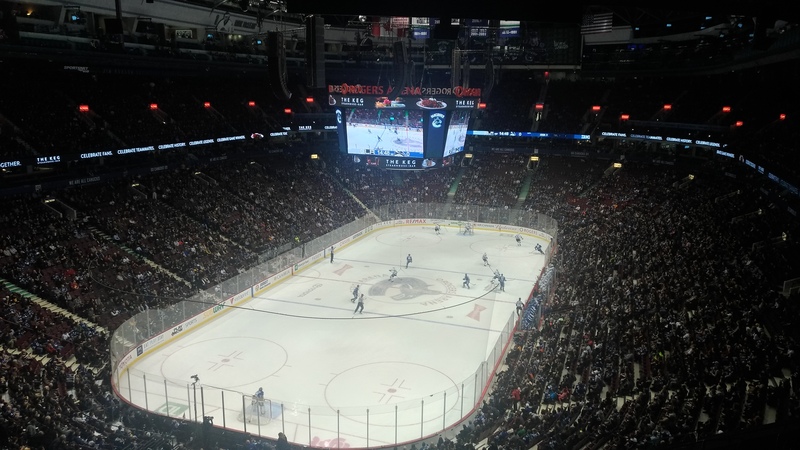 For its first time partnering with a tourism organization, Canucks Sports & Entertainment and Discover Los Angeles teamed up to host its first Hollywood Night at Rogers Arena this week during the Vancouver Canucks vs LA Kings game. 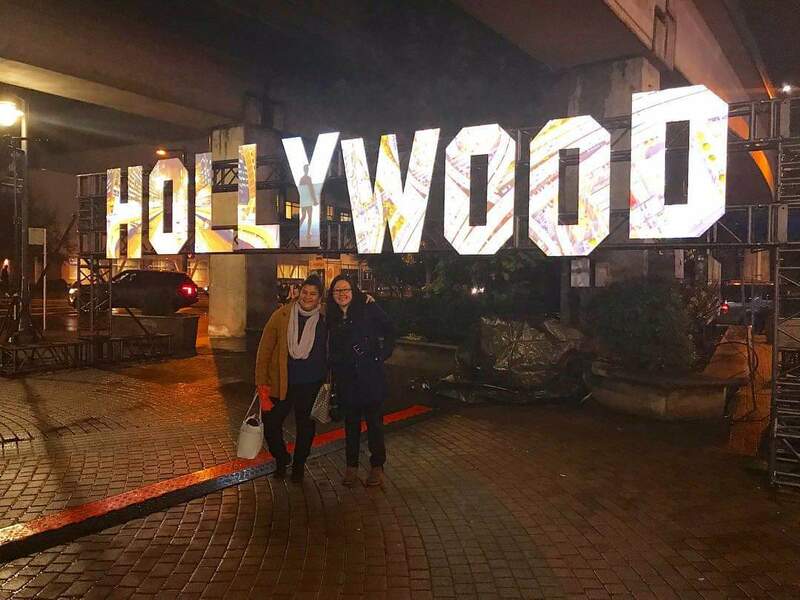 For one night, Canucks fans were treated to a Hollywood VIP treatment with a red carpet walkway and a large digital state-of-the-art Hollywood sign on the outside plaza. 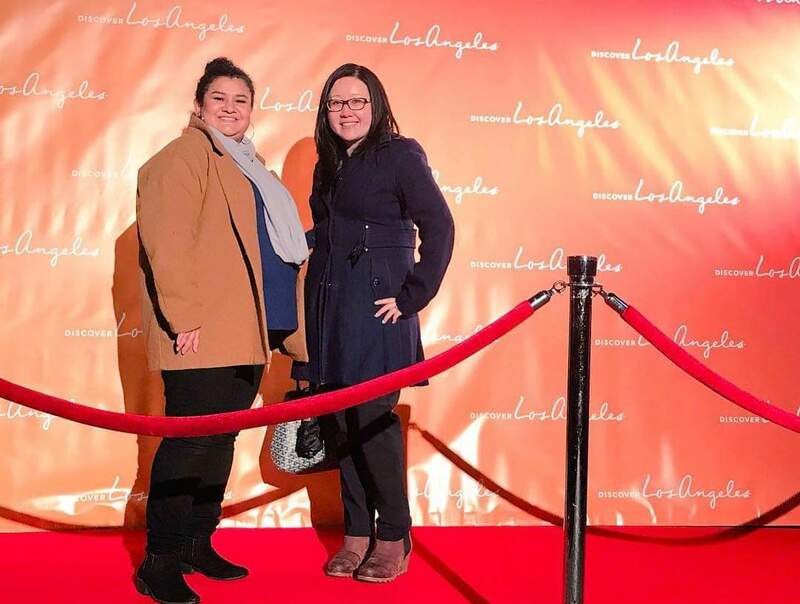 Mary and I both felt like Hollywood celebrities entering the VIP reception being hosted at The SportsBar to influencers and travel trade media by Discover LA. 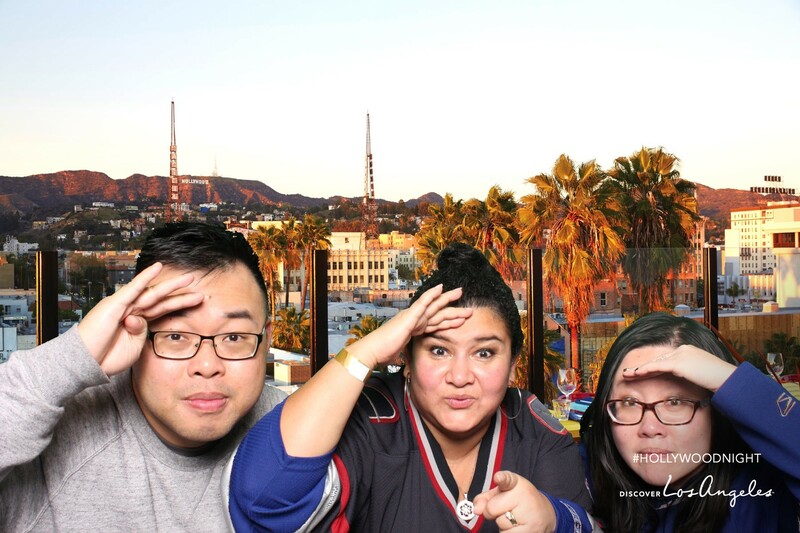 The SportsBar was transformed into your typical sunny LA rooftop experience, featuring comfy patio lounge chairs, faux palm trees, and an LA cityscape backdrop. 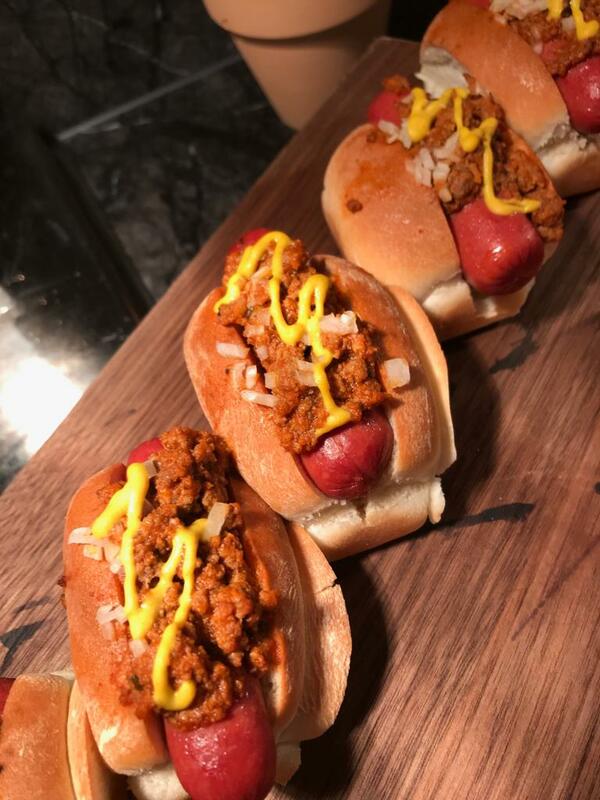 We were welcomed with LA-inspired cocktails and a taco and hot dog bar, paying homage to LA’s popular Mexican street food and famous Pink’s Hot Dogs. 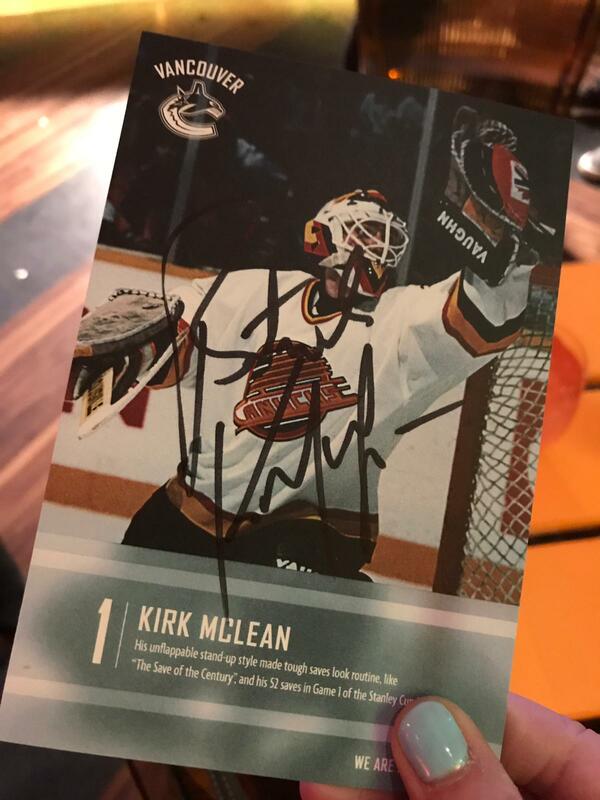 We even had a chance to meet the great Canucks goalie, Kirk McLean for a photo op and autographs, along with a golden Fin who was dressed up as the Oscar statue! 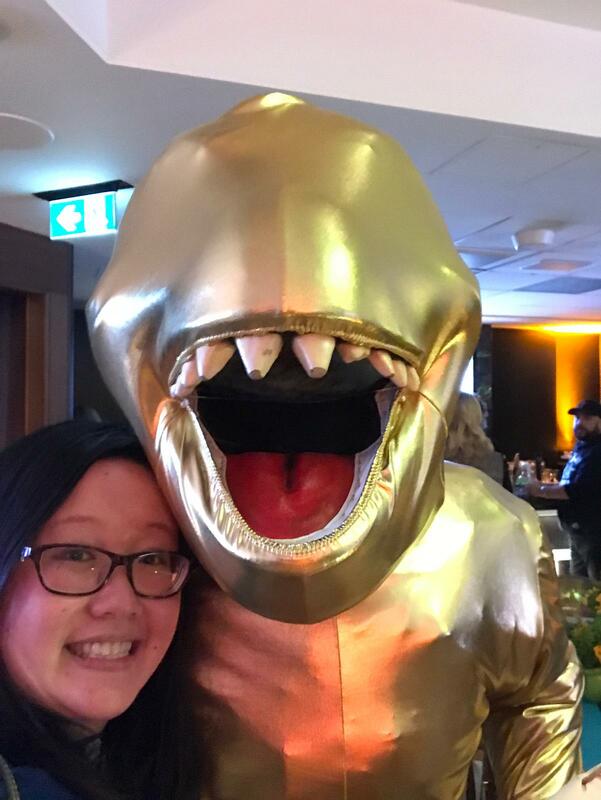 “We are looking forward to hosting a projected 800,000 Canadian travellers in 2019 and wanted to inspire Vancouverites to discover another side of Los Angeles,” said Ashlee Ciora, Senior Director of Tourism for Los Angeles Tourism and Convention Board. “While the City of Angels is known as the undisputed entertainment capital of the world, and for our warm weather and iconic beaches, in the last few years Los Angeles has also become known as the sports capital of the world.” As mentioned by Ashlee, LA will be hosting the 2020 MLB All-Star Game, 2022 Super Bowl, 2023 CFP National Championship and US Open, and the 2028 World Olympics. They are also home to the most professional and collegiate sports teams in the states. 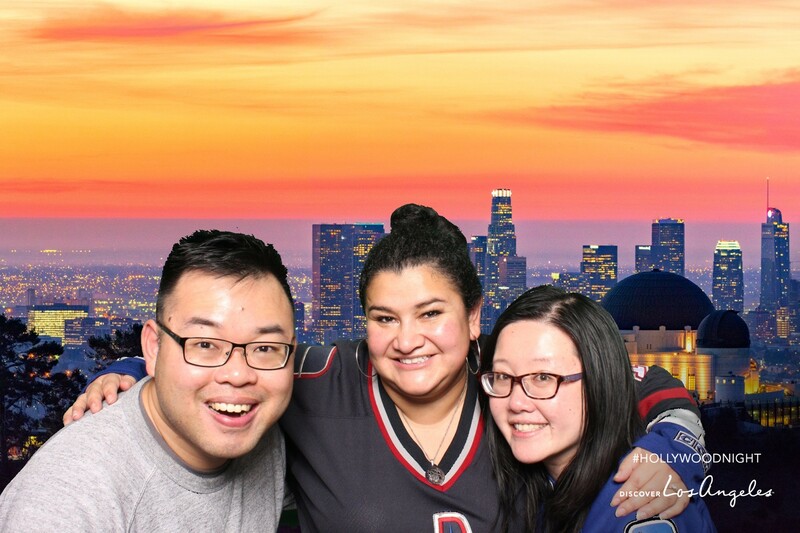 We loved Hollywood Night by Discover LA, and in particular the two photo booths inside the arena concourse, where we got some fun LA backdrop photos taken. 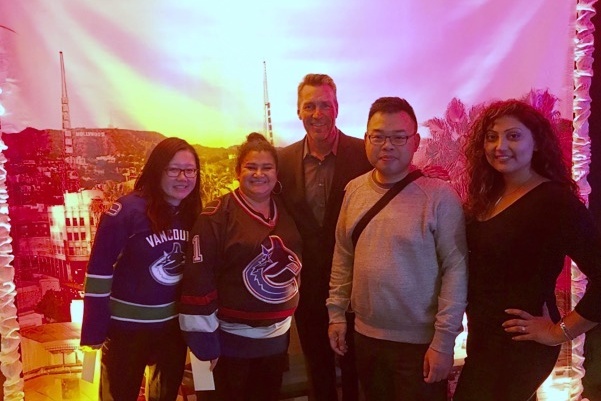 Despite none of us winning the record-breaking $1.4 million 50/50 jackpot, we were happy for the lucky 10 winners who won trips to visit LA. 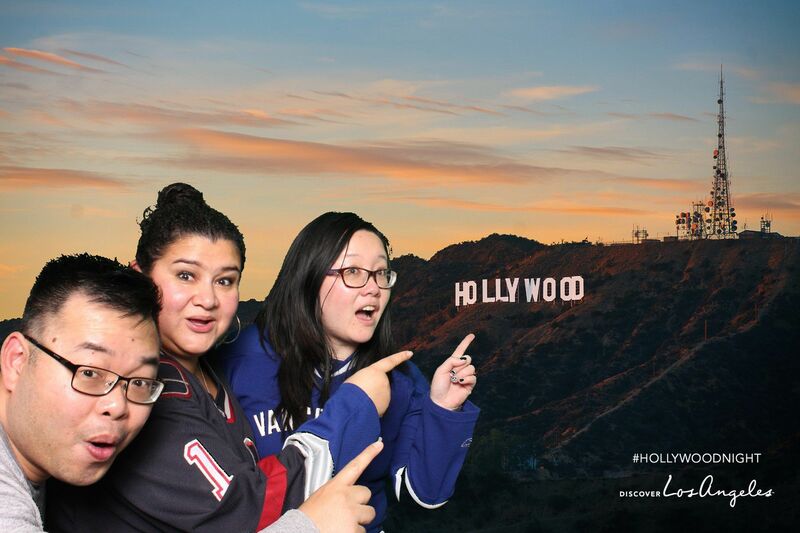 For more highlights from Hollywood Night follow #HollywoodNight and @DiscoverLA. If you’re planning your next trip to LA, be sure to visit Discover Los Angeles for info, or read one of my most recent travel posts to LA.